All three parts are needed to succeed. The strategy story sets the direction and inspires action. 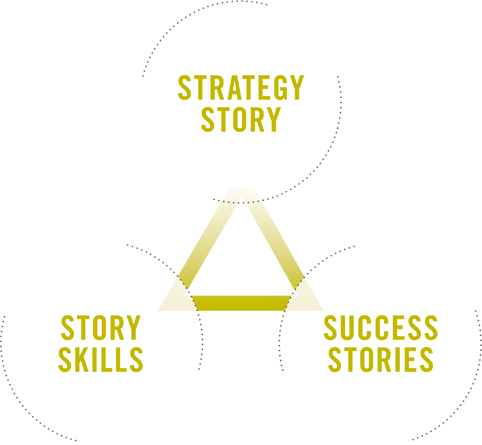 Story skills provides the communication capability that helps leaders explain what is happening and why it matters. The Success stories are the fuel to keep the system going. Each new success provides evidence of progress and a jolt of motivation. Research has shown that most employees don’t understand their organisation’s strategy. You can reconnect employees with your company strategy by converting the strategy into a strategy story and gaining the skills to tell that story in an understandable, memorable way. 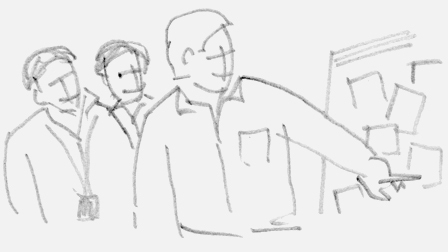 For every official story told in an organisation, there are often anti-stories – pre-existing beliefs and perceptions that work against your objectives. Identifying and tackling these anti-stories is a critical part of any new strategy.